This Thanksgiving season, give the workers in your office a special treat – new office furniture! They would love our ergonomic desk chairs, gorgeous reception area furniture, stylish cubicles, and (new!) our glass chair mats. Whatever you’d like to enhance your office space with, we have it for an affordable price. Choose between new, reconditioned, and gently used office furniture. Rest assured that all of our office staples are of high quality and value, every single day. Whether you need items for a small home office or you need to fully outfit an office with hundreds of employees, we have what you need and want at PnP Office Furniture. Discover why so many businesses have relied on PnP Office Furniture for all their office furniture needs over the years – give us a call at 909-390-0428 or simply stop by our warehouse, which is located at 940 South Rochester Ave. Suite D Ontario, CA 91761. Business hours are Monday-Friday 8:30am-5:30pm. Not sure what you need exactly? Not confident about where to start upgrading the furniture in your office? Don’t worry and don’t stress out – come to PnP Office Furniture. We have helpful (not pushy!) staff on hand who will be happy to give you some direction and personalized advice. You will never be pressured to buy, and you’ll never regret your purchase at PnP Office Furniture because our items are of high quality and always sold at great prices. Compare us to some other local furniture stores and you’ll quickly see why so many people prefer PnP Office Furniture. In addition to assisting you with picking out furniture for your office, we provide the following services to make your office furniture upgrade process as efficient and stress-free as possible. We offer affordable layout planning, delivery, and installation services within a 50-mile radius of our Ontario, CA store. There’s no reason to spend the addition time, expense, and hassle of working with separate contractors for these services. Just rely on PnP Office Furniture – you’ll be so glad you did! We guarantee that most in-stock items will be at your office within 72 hours of purchase. It’s so easy and rewarding to shop at PnP Office Furniture – stop by today to see why! Your employees will appreciate the investment you make to ensure their office environment is pleasant, comfortable, and efficient. You’re going to appreciate how great your office looks without you having to spend an arm and a leg on office furniture. It’s the ultimate win-win. Everyone will love the office furniture from PnP Office Furniture this Thanksgiving. 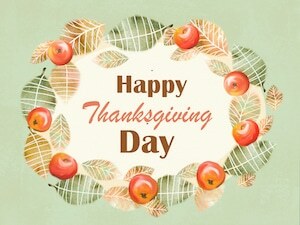 From all of us at PnP Office Furniture, we wish you a very happy Thanksgiving surrounded by loved ones and plenty of turkey. We are located at 940 South Rochester Ave. Suite D Ontario, CA 91761 and business hours are Monday-Friday 8:30am-5:30pm. Our phone number is 909-390-0428.